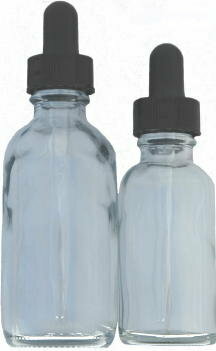 This is the same bottle we use to package our liquid candle dyes. They are also excellent for packaging facial serums, simmering oils, essential oils and of course refresher oils for potpourri! These clear glass 2 oz. Boston round bottles measure 3 1/2"H x 1 1/4"W without the caps. *Price is for 12 bottles and caps.